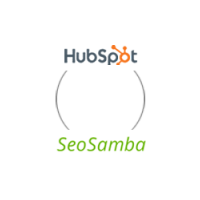 Hubspot vs SeoSamba: who's the best at SEO? Hubspot started out by providing extensive SEO information and keyword research tools to help website owners get a grip on a very complicated subject and process. In time, Hubspot has realized that integrating other software - e.g. competitor SeoMoz - and slapping their brand on it was a better course of action. Over time, the SEO recommendation tools have been integrated within the various parts of their online suite, from Landing Pages and Blog creation to CRM and email marketing. Notwithstanding the TMI syndrome (Too Much Information) experienced by many new users of their platform, search engine optimization tools in Hubspot provides helpful analysis and recommendations, as well as results tracking. Unfortunately, the gap between recommendation and results tracking is a hard one to fill, as the cumbersome SEO implementation process is left to website owners who ironically chose Hubspot for ease-of-use and automated features. 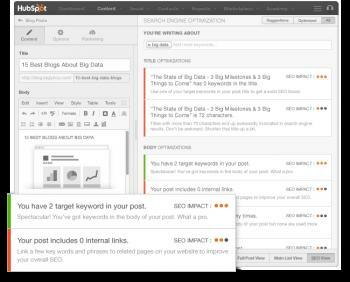 Yes, Hubspot will help to improve search engines rankings for poorly-performing websites and new domains. However, past this initial bang, any improvement will require huge amounts of work and inflating expenses as you must always keep in mind that with Hubspot more trafic and contacts means increasing costs as well. As the names suggest, SeoSamba leverages the only CMS that integrates SEO and web marketing automation technology in full compliance with the industry’s best practices. While SEO came as an afterthought throughout HubSpot's development history, SeoSamba has created its own content management system SeoToaster to integrate search engine optimization natively. On the frontend side, SeoToaster boasts the most search engine optimization tools found in any existing CMS, with dedicated interfaces to manage Automatic Deeplinks, 301 redirects, Robots files, Link Sculpting and Content Silos. 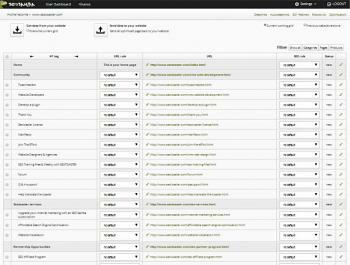 On the backend side, SeoSamba's online marketing platform SambaSaaS can automatize thousands of SEO-related tasks, including multi-sites SEO management, e-commerce dynamic SEO and in-depth Google Webmaster Tools (WMT) integration. With efficient content creation features, HubSpot fits the bill for quality-heavy content sites whose reputation is strong enough or have enough resources to deal with - and pay for - organic SEO strategies. However, for small business owners who want to dominate their corner of the market on search engines, but rather spend their valuable time on more intelligent tasks, SeoSamba is the logical choice. Allowing for multi-sites automated optimization and featuring a blog system able to distribute content on all channels with just one click, SeoSamba's tightly integrated automated SEO software is a clear winner in this area. Can HubSpot execute multi-sites SEO for you?